Another week, another nationalistic outburst by a Chinese citizen abroad goes viral. 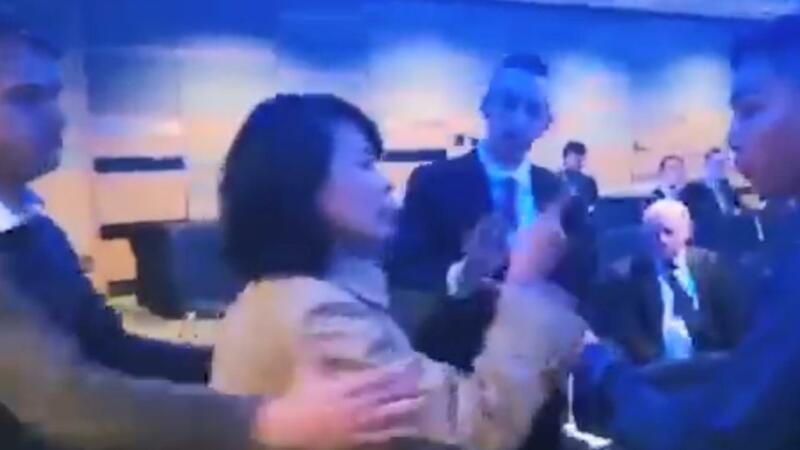 This time a state television reporter named Kong Linlin allegedly disrupting a Conservative Party conference in the UK about human rights in Hong Kong. Video of the scuffle shows the reporter slapping an organiser and then refusing to leave, declaring she has “the right to protest” in a “democratic UK”. She was removed and briefly arrested but it didn’t end there. As usual when these increasingly common events occur, China demanded apologies. In China, some of the country’s 800 million web users questioned Ms Kong’s actions, but on the popular and highly censored platform Weibo, there was widespread support, with some congratulating her for confronting, “poisonous Hong Kong separatists”. The latest incident comes as China is more forcefully asserting its world view on the global stage. In September, a Chinese envoy stormed out of a Pacific Islands forum session after clashing with the President of host nation Nauru — one of the few countries that has diplomatic ties to Taiwan. Last year in Perth, Chinese officials disrupted an international blood diamond conference to demand invited guests from Taiwan be excluded. More recently, a Chinese family visiting Sweden created a diplomatic stir when they accused Swedish police of brutality for removing them from a hostel when they’d turned up the night before their booking. It came during a period of ongoing tension between China and Sweden. Just this week, Thailand apologised to China for a security guard who was accused of hitting a Chinese tourist who didn’t offer a tip while passing through customs. In all cases, China’s Foreign Ministry and state-run media moved quickly to support the Chinese nationals involved and David Bandurski, from the Hong Kong-based China Media Project, said it often seemed to play the events up. “There seems to be a trend of manufacturing histrionics around cases of abuse of Chinese, or intrusion on their rights”, he said. “It’s really hard to believe that this wasn’t intended to be a disruptive event”, he said. This latest case in the UK is the first time nationalistic actions by an employee of China’s vast government-controlled media outlets has gone viral. But Sydney-based professor at UTS Feng Chongyi says he’s encountered similar behaviour from Chinese state media journalists at events he’s been involved with in Australia. “They feel a type of entitlement that China is a great country, a great state, so they have the right to interrupt people — they’re behaving like bullies”, he said. The spat also comes as China’s state media outlets pursue further expansion abroad. The English-language version of CCTV, called CGTN, has been advertising for hundreds of positions in London as it seeks greater global influence. The same network recently started running advertisements on the streets of Australian cities, right around the same time Beijing blocked people in China from accessing the ABC’s website. But James Palmer, a Beijing-based author and senior editor at Foreign Policy, who spent seven years working inside the Global Times, said the advertising — and Ms Kong’s behaviour — was all for show for a specific audience. “CGTN is all geared towards impressing the bosses who are mid-level state apparatchiks back at home,” he said. 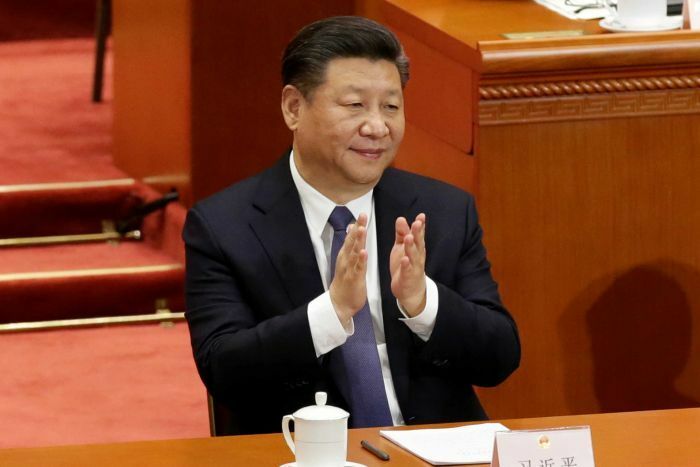 Under President Xi Jinping, China’s Government has tightened controls of the media, going so far as to remind journalists their outlets are symbolically surnamed ‘Party’. Some insiders at CCTV say an increasing number of news staff have sought to leave the media sector as ideological controls increase. “We’re heading into a time of even more political paranoia in China itself and people are feeling more insecure about their own positions”, Mr Palmer said. Next The Keli Lane case: Australia, have you seen this man?